LET US BE IN TOUCH…. LIC HFL is a big sized housing finance company with total loan book size of `44,000/- crore- mainly in the retail segment. The Project loan is only 11.87%, comparatively quite low. The Gross NPA in Project loan is only 0.08%--among the best in the Industry. All the loans of the company are performing assets and backed by adequate security cover as per valuation. An internal enquiry by a committee has proved that---- all procedures for sanction of loan, consistent with Board approved guidelines, have been followed and that there are proper systems in place for sanction and disbursement. The investigation is about 8 companies and Outstanding balance is only `388 crore, a very small amount compared to overall book size and all these are performing assets. There is no systemic failure; nor have any rules or procedures been Media reported also about investigation into LIC’s investments in some real estate companies. The facts…. 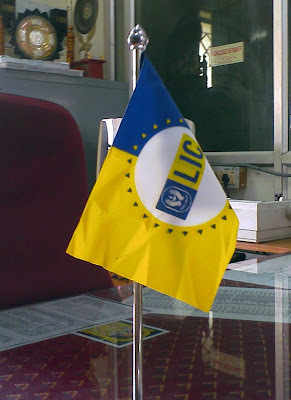 The total assets of LIC as on 30/09/2010 are `12 lac crore. LIC’s exposure to real estate is hardly 0.68% of our total assets. LIC’s equity exposure to realty companies is only 0.66% of our total equity and in loan only 2.38% of our total corporate loans. All these are performing assets in our books backed by proper security cover. In corporate loan segment, Gross NPA is only 0.90% showing Standard Assets of 99.10% as per regulatory norms. Our Net NPA is only 0.19%-- perhaps the best among financial institutions. LIC has proper systems and procedures for investment of funds. All our investments are decided by/reported to the Investment Committee and no single individual alone can take investment decisions. All investment decisions are on the basis of Insurance Act, IRDA Investment Regulations, Investment Policy duly approved by the Board, Investment Committee guidelines and Standard Operating Procedures. All investment proposals are backed by research reports from Risk Management & Research Dept. All these show how foolproof and time-tested our investment practices are. Friends, let me assure you that we are fundamentally, structurally and financially a very strong organization. 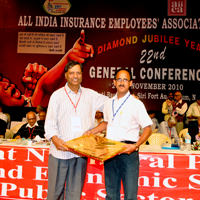 The nation trusts LIC. All attention and expectation of the nation is on us. Yes, these are trying times…. but we shall not fall prey to malicious rumours……. we shall stand united to defend the honour of our dear organization……. performance and better customer service.